The stunning new Mazda MX-5 RF (Retractable Fastback) will go on sale in the UK on 4th March 2017, priced from £22,195. A limited-run Launch Edition model will also be available for £28,995. 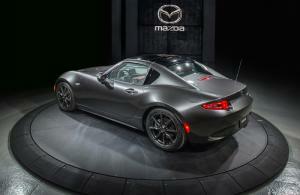 At the 2016 New York International Auto Show, Mazda unveiled their new MX-5 RF. In this case, RF stands for 'retractable fastback', because not only does this MX-5 feature a folding hardtop, but also new 'fastback' styling. 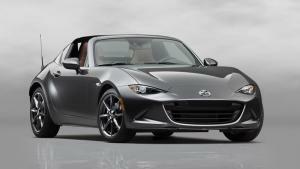 When Cubby Broccoli, creator of the cinematic juggernaut that is the James Bond franchise, handed the reigns to his daughter, Barbara, he reportedly offered this simple piece of advice: “Don’t screw it up.” I imagine a similar conversation took place somewhere inside Mazda when time came for the company to create this, the fourth generation MX-5. For this isn’t just a car. It’s a motoring icon. An automotive legacy, even. 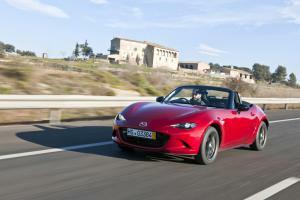 Watch our video review of the new 2016 Mazda MX-5. 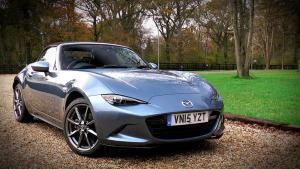 Perhaps this year's most anticipated new car, the Mazda MX-5, will be priced from £18,495 when it opens to pre-orders on 27th April, and will make its UK debut at this year's Goodwood Festival of Speed. The first Mazda MX-5 was introduced to the world 25 years ago and, having sold nearly a million units, creating the new fourth-generation model for the next 25 years was always likely to be a challenge. 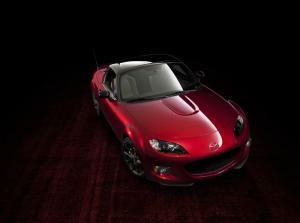 The Mazda MX-5 25th Anniversary Edition has been created to celebrate 25 years since the launch of the iconic roadster. 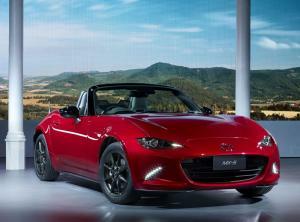 Since its launch in 1989, more than 940,000 MX-5s have been produced. Ordinarily, truly great cars pass into legend some time after production ceases. 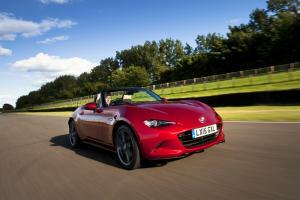 The Mazda MX-5, however, achieved iconic status some years ago. 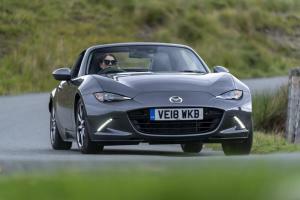 Indeed, so right was the first MX-5 that it stayed in production for nine years, and even the current third generation model has been with us since 2005. Today, it remains one of the few icons you can still buy. 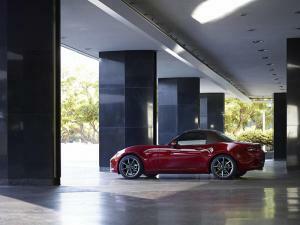 A new limited edition Mazda MX-5 has gone on sale. The MX-5 Sport Graphite is available in a choice of three exclusive colours - Aquatic Blue Mica, Zeal Red Mica or Aluminium Silver Metallic – with a contrasting grey folding hard top.